Mayor de Blasio attacks peace officers who were suspended for the misfortunes visited upon Brooklyn single mom Jazmine Headley, 23, at the HRA Boerum Hill Medicaid Office in Brooklyn on Friday, December 7. He has apologized to Ms. Headley, but not taken any action nor reprimanded the NYPD for its involvement. The police and the peace officers were out of control. There has to be a change in NYPD culture concerning Black people. As reported here last week, a Black woman was manacled by the NYPD during her childbirth in the Bronx earlier this year. The NYPD overrode the doctor’s argument about handcuffs being illegal. Jane Doe is suing NYC for her experience. Ms. Headley also plans to sue the city. Both women will likely get handsome cash awards. Cash does not solve the problem of an errant police department which frequently operates above the law while Mayor de Blasio is impotent in his ability to effect change in NYPD/Black interactions. NYS Senate and committee chair assignments: freshman senators Rachel May, Aging; Robert Jackson, Cities; Alassandra Biaggi, Ethics; Subcommittee chairs include Julia Salazar and John Liu, NYC Education. Committee assignments for reelected senators: Liz Kruger, Finance; Gustavo Rivera, Health; Brian Kavanaugh, Housing; Helley Mayer, Education; and Brad Hoylman, Judiciary. Democrats hold 39 of 63 seats in the Senate. Brooklyn-based The Bridge Multicultural Advocacy Project hosted its Annual Unity in Action Holiday Party on December 16 and lived up to its reputation. The gala was a veritable multicultural feast with a gourmet Kosher and Halal buffet, live music and dancing. Ms. Gandy Thomas, Haiti Consul General, NY; Dani Dayan, Israel Consul General, NY; and Israel Nitzan, Israel Deputy Consul General, NYC were the evening’s honorees. The following is a narrative about the Madam CJ Walker legacy. MadamWalker, the Black entrepreneur best known for the manufacture and distribution of hair care products for Black women, amassed a fortune, becoming the first American woman self-made millionaire. She bought the 34-room mansion, Villa Lewaro, in Irvington, NY in 1918. When she died, she left the estate to a Black organization strapped for cash, which sold it. Decades and many title searches late,r a Black couple, Helena and Ambassador Harold Doley, bought and resided in the villa for more than 25 years. The Doleys sold the sprawling, restored villa to Liberian-born businessman Richelieu Dennis, 48, founder/CEO of Sundial Brands, which makes cosmetics and skincare products for people of color. This week, Mr. Richelieu meets with Irvington city fathers to pitch his idea of using part of Lewaro as a training center/retreat for Black women entrepreneurs, whom may duplicate Madam Walker’s successes. Last year, Richelieu launched New Voices Fund, endowing it with $100 million to bolster Black women’s entrepreneurial pursuits. Chase, Bank of America and Goldman Sachs are some of the fund supporters. BTW, Richelieu bought Essence Communications last year, restoring the storied periodical to Black ownership. 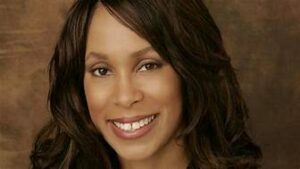 Remember African-American Channing Dungey, former head of the ABC-TV entertainment division who fired Roseanne Barr for untoward comments this year? She resigned last month. Ms. Dungey now joins Netflix, the streaming company with the huge worldwide membership. It’s all over the global media landscape in TV, films; she’ll have an executive position as vice president for original content and be reunited at Netflix with ABC success stars like Shonda Rhimes, creator of Grey’s Anatomy and Scandal, and Kenya Barris, creator of Black-ish. The Disney Corporation closes on the acquisition of the 21st Century Fox Corporation next year. Dungey, as other ABC-TV executives, would have had to defer to 21st Century Fox executives after the merger. RIP: Beloved Harlemite Wilfred Defour, 100, a Tuskegee Airman, passed last week. A “Greatest Generation” man to be sure, he was featured prominently in print and electronic media last month during the ceremony renaming a US Post Office in honor of the heroic Tuskegee Airmen, the first Black US military aviators who fought during WWII. 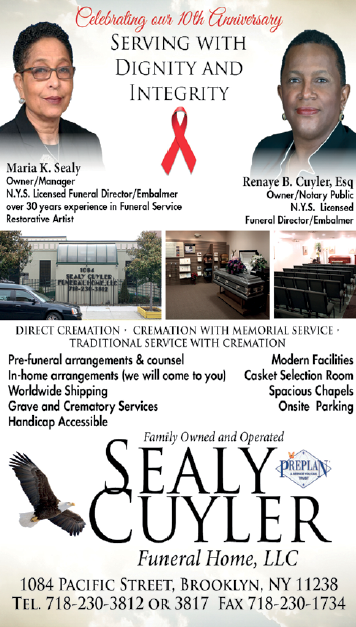 Viewing: Benta’s Funeral Home, 630 St. Nicholas Avenue on 12/20, 4-8 pm. Funeral: St Phillips Episcopal Church, 210 West 134th Street, Harlem on 12/21 at 11:30 am, then on to Woodlawn Cemetery. 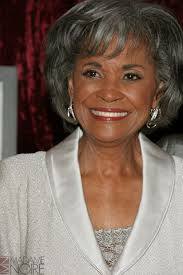 Song stylist Nancy Wilson, 81, passed last week. The fabled Wilson career spanned five decades, peaked in the 60s, when she was first lady of song and TV. She was an adept vocalist in jazz, pop, Broadway, R&B torch songs. Dinah Washington and Nat King Cole were her muses. A three-time Grammy winner, she also garnered an Emmy for her eponymous TV show. Wilson toured extensively and recorded more than 70 LPs. Song titles like, “Face It Girl, It’s Over” and “Guess Who I Saw Today” are synonymous with the Wilson magic. 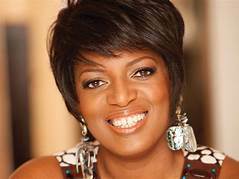 She was named a Jazz Master by the National Endowment of the Arts. The Vulcan (NYC Fire Department’s Black Fraternal Order) Society, University Settlement, Assemblyman Walter Mosley and Council Member Laurie Cumbo will co-host a free Family Holiday Celebration at the Ingersoll Community Center, located at 177 Myrtle Avenue, Brooklyn, on Friday, December 21 at 5:30 pm. The festivities include food, arts and crafts, music, clothes, toys, tree-lighting, viewing fire trucks, a raffle for household appliances and more. Call 718-522-5051 or e-mail: icc@universitysettlement.org.